Charlotte Howard is the Founder of the Hair Artist Association with over 4000 members and Ceo of Heart Centered Women Publishing. 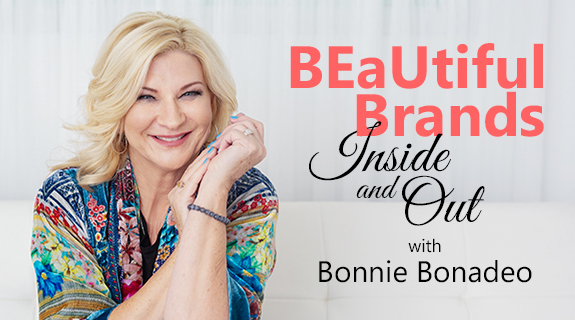 She has created multiple 6-Figure+ successful brands teaching heart centered beauty industry professionals, women entrepreneurs, experts, coaches, authors, speakers and service based organizations how to amplify their message, share their story and use their expertise to impact people’s lives. She has a passion for helping her clients to create freedom based 6-Figure+ businesses. She is a book publishing expert and strategist who personally wrote 1000 international best selling books in 13 different languages. She is also the executive talk show producer and award-winning star of Heart Centered Women TV, Heart Centered Women Media Podcast and Success and Beauty Talk Radio Show on iTunes, which debuted at #1 on iTunes in multiple categories. She is also an philanthropist who is actively involved in a variety of fundraising activities for Girl Scouts, American Cancer Society, Look Good Feel Better, Kiva and organizations such as Hand of Hope with Joyce Meyer Ministries where she contributes to feeding 83,000 families per day and outreaches to help put an end to poverty. She has been called by the Information Marketing Journal a “Information Marketing Genius” and featured in over 1000 media outlets including ABC, NBC and FOX. Do You Want To Hire Charlotte To Speak At Your Next Event? Are Your Clients Ready To Create Their Next Best Selling Books, Programs and Products? Do You Have Clients That Need Someone To Create Best Selling Books, Products and Services For Them? Do You Have Clients That Want To Master Creating 6-Figure+ Businesses Using Their Story, Message and Expertise? Contact her and her team today for a complimentary strategy session. Call 843-376-9044 or visit http://www.iamcharlottehoward.com. In this training Charlotte shares the step-by-step method she used to amplify her message, impact people’s lives in a bigger way and fast track her best seller book ideas into a 6-Figure+ business. Discover how to fast track your book ideas into best sellers. This training is the same exact method she uses to create transformational and profitable best selling books for herself and her clients. Discover how to attract all the leads, clients, customers and sales you need to scale your book business beyond 6-figures. Discover how to get access to Charlotte’s proven checklists, sales funnel systems, media booking systems, tools and team to help you launch your 6 figure+ book business. Inspire people with your authentic story. Increase your confidence and your self esteem. From Struggling Employee to Successful Entrepreneur, Charlotte’s extraordinary story of how she went from struggling as a single mom with carpal tunnel syndrome working in corporate america living paycheck to paycheck in Charleston, South Carolina to building multiple successful businesses sharing her authentic story, expertise and passions has transformed the lives of thousands of people all over the globe. Want to interview Charlotte or Hire Her To Speak At Your Next Event? Please call 843-376-9044 or schedule a meeting here. Thank you!! Charlotte Howard is the founder of the Hair Artist Association with over 4000 members, CEO of Heart Centered Women Publishing, #1 international best selling author of “Entrepreneur Secrets: The New Rules of Wealth Creation” book series, “Wealthy Women” book series, “Success In Beauty” book series and “Hair Stylist Riches” book series. She is a book publishing expert who personally published thousands of books with her team in 13 different languages. She has been called by the Information Marketing Journal a “Information Marketing Genius” and featured in over 1000 media outlets including ABC, NBC and FOX. Are You Ready To Create Your Next Best Selling Books, Programs and Products? Contact her and her team today for a complimentary strategy session. Call 843-376-9044 or visit http://www.iamcharlottehoward.com. Charlotte Howard is the Founder of Hair Artist Association with over 4000 members, CEO of Heart Centered Women Publishing, #1 international best selling author of “Entrepreneur Secrets: The New Rules of Wealth Creation” book series, “Wealthy Women” book series, “Success In Beauty” book series and “Hair Stylist Riches” book series. She is a book publishing expert and strategist who personally published thousands of best selling books with her team in 13 different languages. She is also the executive talk show producer and award-winning star of Heart Centered Women TV, Heart Centered Women Media Podcast and Success and Beauty Talk Radio Show on iTunes, which debuted at #1 on iTunes in multiple categories. Are You Ready To Create Your Next Best Selling Books, Programs and Products? Contact her and her team today for a complimentary strategy session. Call 843-376-9044 or visit http://www.iamcharlottehoward.com. She is a book publishing expert and strategist who personally published thousands of international best selling books with her team in 13 different languages. She is also the executive talk show producer and award-winning star of Heart Centered Women TV, Heart Centered Women Media Podcast and Success and Beauty Talk Radio Show on iTunes, which debuted at #1 on iTunes in multiple categories. She has been called by the Information Marketing Journal a “Information Marketing Genius” and featured in over 1000 media outlets including ABC, NBC and FOX. Are You Ready To Create Your Next Best Selling Books, Programs and Products? Contact her and her team today for a complimentary strategy session. Call 843-376-9044 or visit http://www.iamcharlottehoward.com. Charlotte Howard is the Founder of Hair Artist Association with over 4000 members, CEO of Heart Centered Women Publishing, #1 international best selling author of “Entrepreneur Secrets: The New Rules of Wealth Creation” book, “Wealthy Women” book series, “Success In Beauty” book series and “Hair Stylist Riches” book series. She is a book publishing expert who personally published thousands of international best selling books with her team in 13 different languages. She is also the executive talk show producer and award-winning star of Heart Centered Women TV, Heart Centered Women Media Podcast and Success and Beauty Talk Radio Show on iTunes, which debuted at #1 on iTunes in multiple categories. She has been called by the Information Marketing Journal a “Information Marketing Genius” and featured in over 1000 media outlets including ABC, NBC and FOX. Are You Ready To Get Positioned To Write, Speak and Profit? Contact her and her team today for a complimentary strategy session. Call 843-376-9044 or visit http://www.iamcharlottehoward.com.